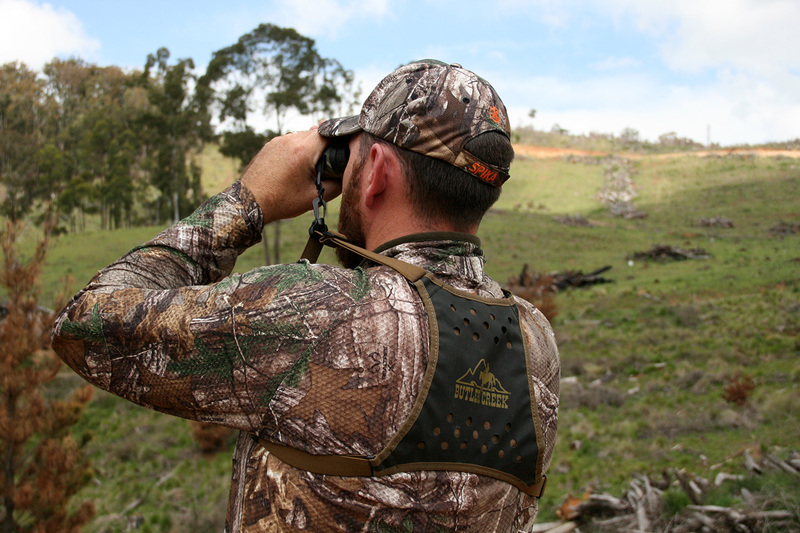 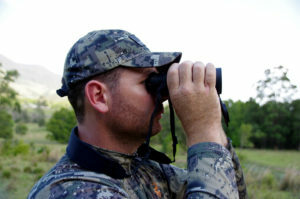 Butler Creek have developed the “Bino Caddy” to eliminate this issue, its unique design allows the neck strap to be completely removed and the weight of your binos to be evenly spread across your upper back taking the tension off the neck. 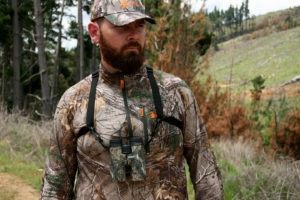 Another great thing I found with the caddy was that it forced the binos to hug your chest when not in use, unlike the neck strap that allowed the bino to swing around the binos are securely held in place, ideal when climbing or riding the bikes. 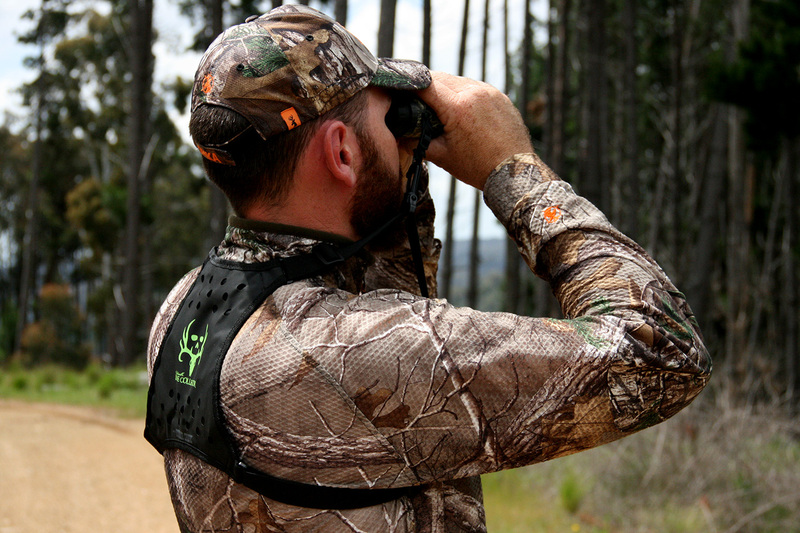 The elastic straps are easy to stretch when you lift up the binoculars and in short viewings don’t tire the arms with downward pressure, if prolonged use of the binoculars is required the Bino Caddy has two snap clips which allow you to detach the caddy from the binos. This caddy is perfect especially when hunting for long periods of time, i have worn the caddy for a 6 hour period and found it quiet comfortable and convenient. 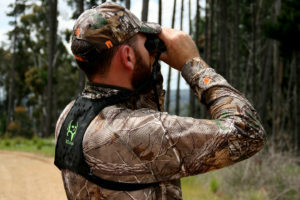 The flat panel on the back of the caddy allows you to comfortably wear it under your backpack and with the panels aerated design does not dig in and reduces body heat to be trapped underneath it. 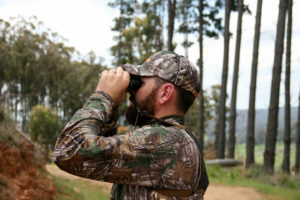 Overall this is a high quality and essential product for transporting your binoculars with the minimal amount of fatigue on the body, the Butler Creek Bino Caddy can be attached to all makes and models of binos and works exceptionally well for those models that carry extra weight. 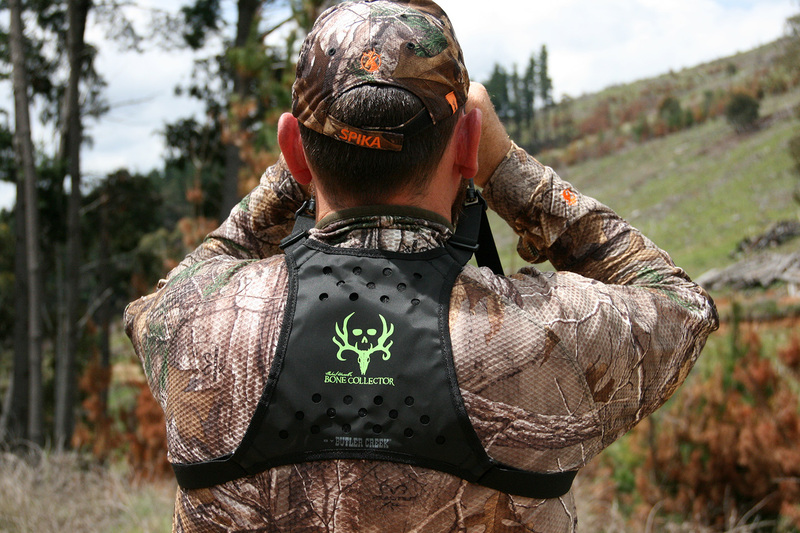 The straps are fully adjustable to suit all body shapes and sizes and available in Black & Khaki (pictured) & Black – Bone Collector Edition (pictured).